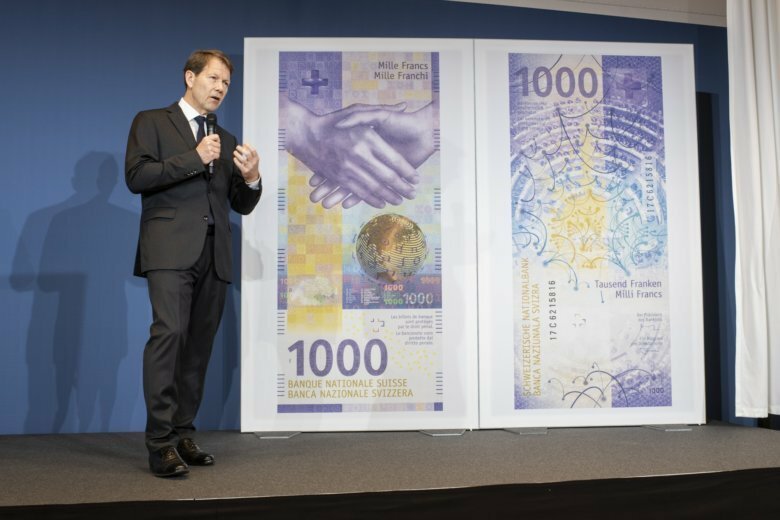 BERLIN (AP) — It’s purple and yellow, and very valuable: Switzerland’s central bank has unveiled a redesigned version of its 1,000-franc ($1,000) note. The Swiss National Bank said Tuesday the overhauled version of its highest-denomination note is “smaller and thus easier to handle” than its predecessor, as well as incorporating “complex security features.” The note, featuring a handshake on one side and the Swiss parliament on the other, will go into circulation starting March 13. The 1,000-franc note is a longstanding tradition in cash-friendly Switzerland. Still, the country’s approach contrasts with that of the European Central Bank, which in 2016 decided to discontinue production of its 500-euro note — currently worth $567. The ECB dropped its biggest note amid concerns that it had become too popular among crooks and money launderers.